PillPack sends out medications in presorted packets. PillPack Inc., a high-profile New England startup that delivers easy-to-use prescriptions by mail, is resolving a contract dispute with a major partner that could have cost the company thousands of customers. Express Scripts Holding Co. had planned to remove PillPack from its network of approved pharmacies at the end of April, saying the smaller company violated the terms of its contract. PillPack, however, alleged that Express Scripts was cutting off a competitor to its own mail-order pharmacy service. The terms of an impending deal between PillPack and Express Scripts were not known Friday afternoon, and Express Scripts said the two sides were still working on a final contract. PillPack confirmed the authenticity of the e-mail, which was posted online by its customers, but declined to comment further. Express Scripts also declined to comment on the deal, but said on Twitter that a resolution with PillPack was expected soon. “While a contract is not yet final, we continue to work with them toward an agreement,” the company said. PillPack publicized the spat earlier this month, urging its customers to contact their political representatives and Express Scripts in an attempt to change the larger company’s position. “This is how large corporations manipulate consumer choice and the health care system stays broken,” PillPack said on a website dedicated to the lobbying effort. In response, Express Scripts said it was not trying to stifle competition. Instead, it said PillPack had “misrepresented itself” and violated its contract by claiming to be a retail pharmacy but shipping most of its prescriptions by mail. Express Scripts also said PillPack didn’t have a required industry accreditation and was not properly licensed in one state. The dispute could have been costly for PillPack. Express Scripts, which operates pharmacy benefit plans for major employers, represented about a third of PillPack’s customers and revenue, Parker said. 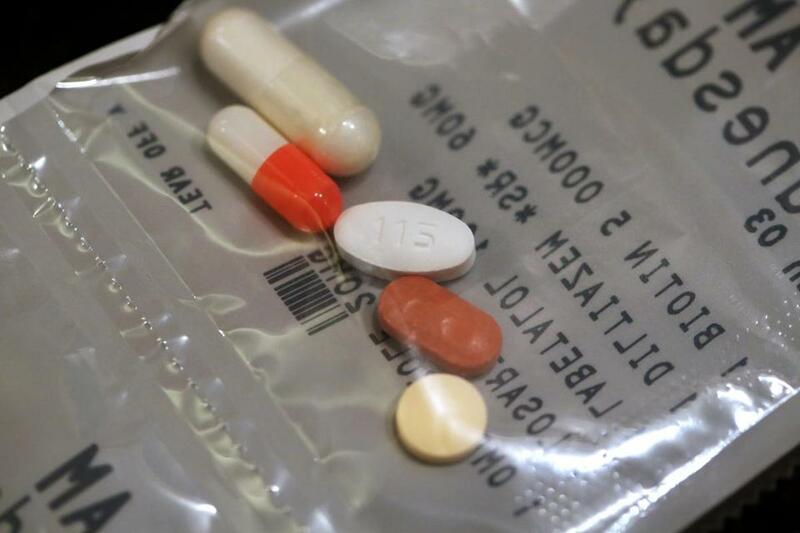 PillPack, which operates a licensed pharmacy in Manchester, N.H., sends out medications in presorted packets labeled with the time and day they should be taken, meant to help patients avoid a confusing set of homemade reminders and hand-sorted pill cases. The startup has raised about $62.5 million from private investors, including a $50 million round last year from venture firms including CRV and Accel Partners. It has corporate offices in New Hampshire and Somerville. Based in St. Louis, Express Scripts has a market capitalization of more than $45 billion. Express Scripts denied PillPack’s claim that it was trying to curb competition for its own mail-order pharmacy, noting that the startup wasn’t a large player among the 70,000 pharmacies and 85 million patients in the Express Scripts network. But PillPack’s decision to marshal its customers appeared to have an effect: The Express Scripts blog post explaining the dispute attracted commenters pleading for PillPack to be reinstated. Curt Woodward can be reached at curt.woodward@globe.com. Follow him on Twitter @curtwoodward.